Welcome to Acorn Chiropractic Clinic in Clevedon, close to the town centre and now Chilton Polden, between Street and Bridgwater. We are family centred and our aim is to help people get back to their full potential, whether it’s running a marathon, tending their garden without pain, playing with their grandchildren or just feeling more like themselves and able to go about their normal activities with less stiffness and pain. We are non-corporate in our approach to treating patients and as everyone is different, we believe that so should their treatment. We do not sell treatment plans or blocks of treatment and there is no need for payment up front. We will work with you to get the best results and have found that over the years if patients are empowered through education about their condition then they will drive the way they want to be treated and therefore get the best result possible. As a result we take a very patient centred approach. We treat everyone – from international athletes to enthusiastic amateurs, young to old, able to less able bodied. Our clinic has three parking spaces directly outside, reserved for patients. We also have disabled access, bathroom facilities for people with disabilities and a ground floor treatment room. Our Chilton Polden clinic has ample parking right outside the gym which has Pilates, yoga and exercise classes running daily. 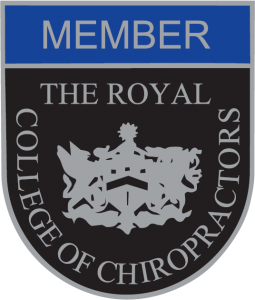 If you would like to book an appointment with one of our Chiropractors, Massage Therapists or Foot Health Practitioner you can do so online here….